Although we know how much easier it may appear to purchase a premade hummus dish from your local grocer, making your own hummus really is incredibly easy. Not to mention, fresh hummus has a taste that cannot be duplicated in the store bought versions. 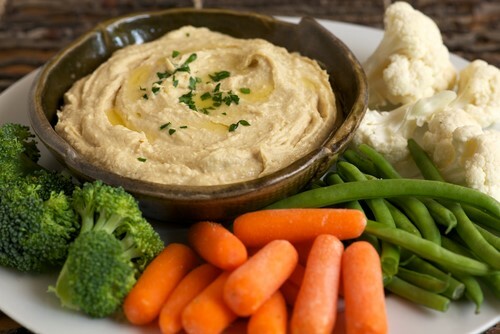 The fiber, complex carbs, and protein in the chickpeas combined with heart-healthy olive oil are what make hummus such a perfect snack food. Serve with whole-wheat pita bread triangles or cut-up vegetables. The mild flavor of this hummus makes it a definite kid-friendly option. 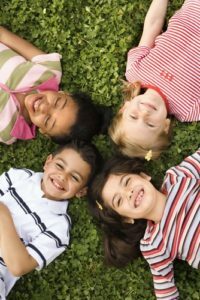 has been, and probably always will be, a heated issue on playgrounds throughout the region. In fact, there are even special eateries called, hummusia  which are dedicated specifically to the making of hummus. Although there are hundreds of ingredient lists to choose from, we would like to add one of our own favorite recipes to those—from around the world—vying for dinner table dominance. Hummus is a spread that is typically made with chickpeas (aka. garbanzo beans), and although it can be made from almost any bean you fancy, we prefer the humble chickpea as our base ingredient of choice. 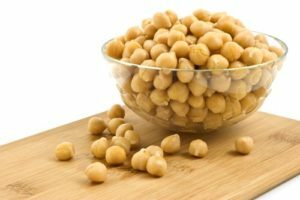 To start, you will want to prepare the chickpeas. Not everyone is going to want to go through this process, so if you would rather, you can replace the dry chickpeas with two 15 oz. cans of cooked (you will want skip the cooking portion of these instructions if you use canned). However, we like to use dry, as they don’t have the added sodium that is typically found in canned goods. of the bowl and leave to soak overnight. Drain the chickpeas the following morning. Place in a saucepan on high and add the baking soda. Stir constantly for five minutes, then add the 6½ cups of water and bring to a boil. They will need to cook, around 30 minutes, until tender. Drain the chickpeas and rinse away any shells and foam that might have come to the surface while cooking. Place the chickpeas in a food processor and blend until smooth. Continue mixing and add the tahini paste, lemon juice, garlic and salt. Finally, slowly add the 6½ tbsp. of ice-cold water and blend until you reach a rich and creamy consistency. Now—this is the most important part—transfer the hummus to a bowl, cover the surface with plastic wrap and allow it to sit for 30 minutes to an hour. This allows all of the fabulous flavors to blend and meld together. Finally, drizzle the entire dish with My Olive Tree’s, Extra Virgin Olive Oil, garnish with basil, and enjoy! This dish is excellent served with fresh veggies or partnered with warm pita, fresh from the oven. We also enjoy using it to create a healthy Mediterranean sandwich wrap. To make: we slather the hummus on a whole grain tortilla. Add fresh lettuce, tomatoes, and olives of your choice, feta cheese, and grilled chicken. Finally top with extra virgin olive oil, a dash of salt and pepper. Wrap it up and serve fresh. 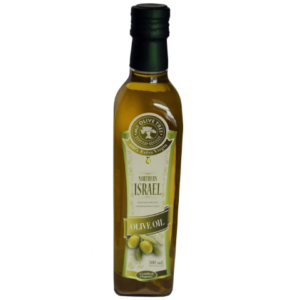 My Olive Tree’s, Extra Virgin Olive Oil from Northern Israel is light and full of delicate flavor; our Northern Israel oil is perfect for salad dressings, marinades, or as a hummus topping! It mixes well with the spices of your choice, leaving you with a smooth and well-balanced flavor. If you would like more information on how to purchase My Olive Tree’s, Extra Virgin Olive Oil, please click HERE! Ottolenghi,Yotam and Tamimi, Sami. “Basic Hummus.” Jerusalem: A Cookbook. Berkely: Ten Speed Press, 2012. Print.